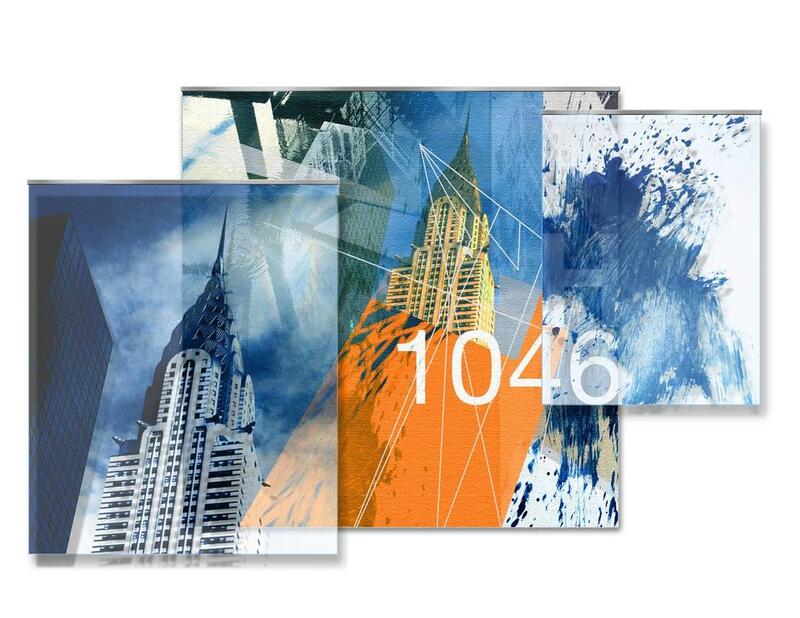 Fabulous mixed media art inspired by the timeless Chrysler Building and the vibrant New York City urban scene. The art is layers of printed translucent fabrics overlapped to create mixing of styles. The result is art that plays on light, space and motion to deliver a unique and captivating artistic experience.